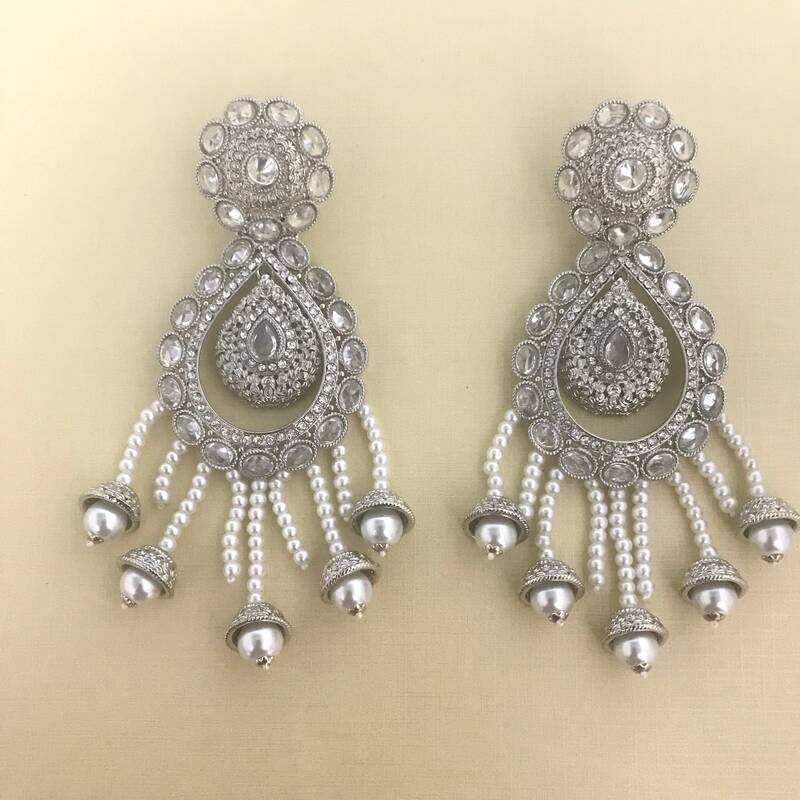 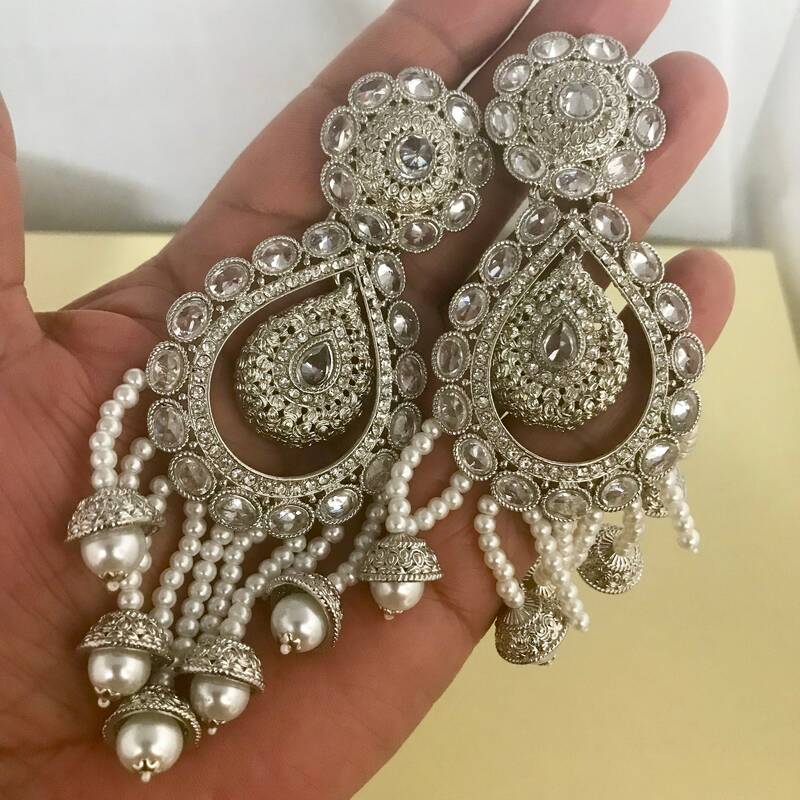 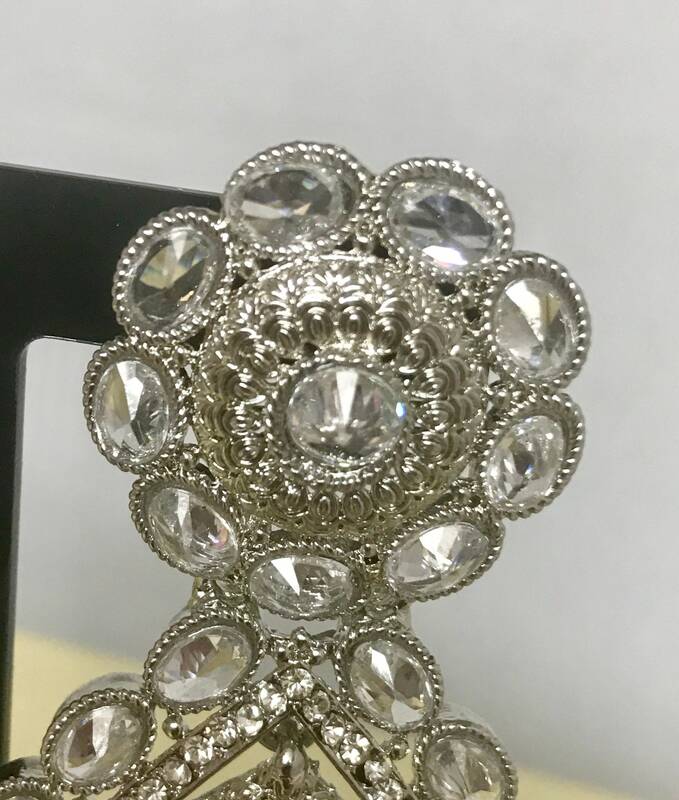 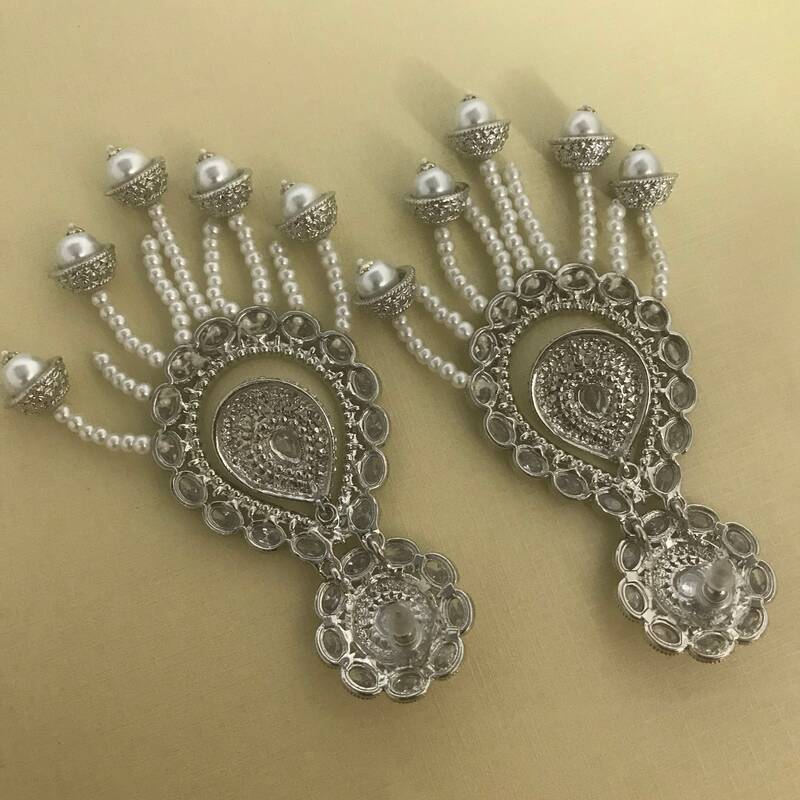 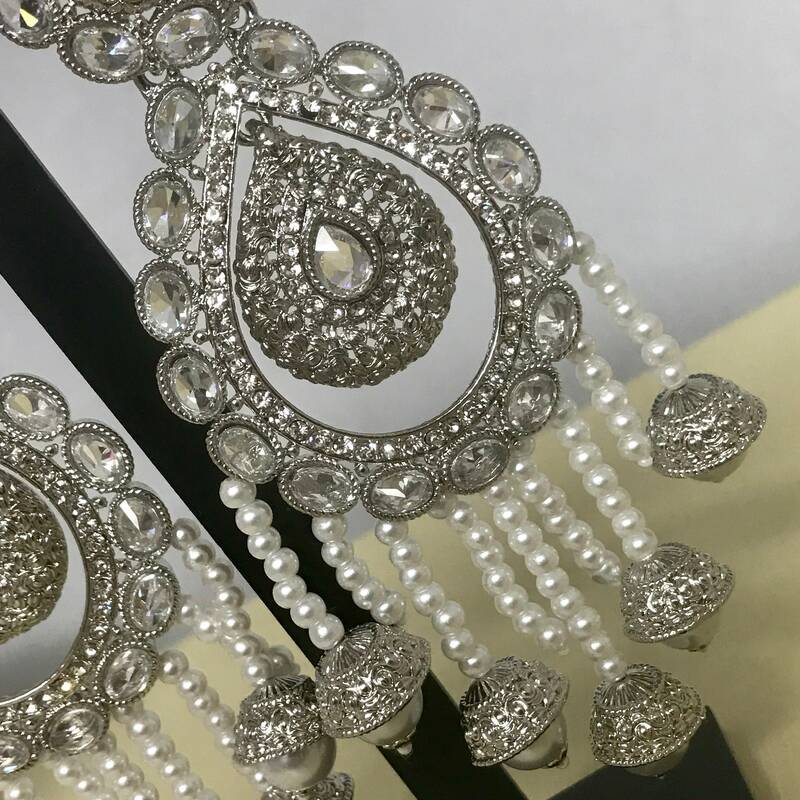 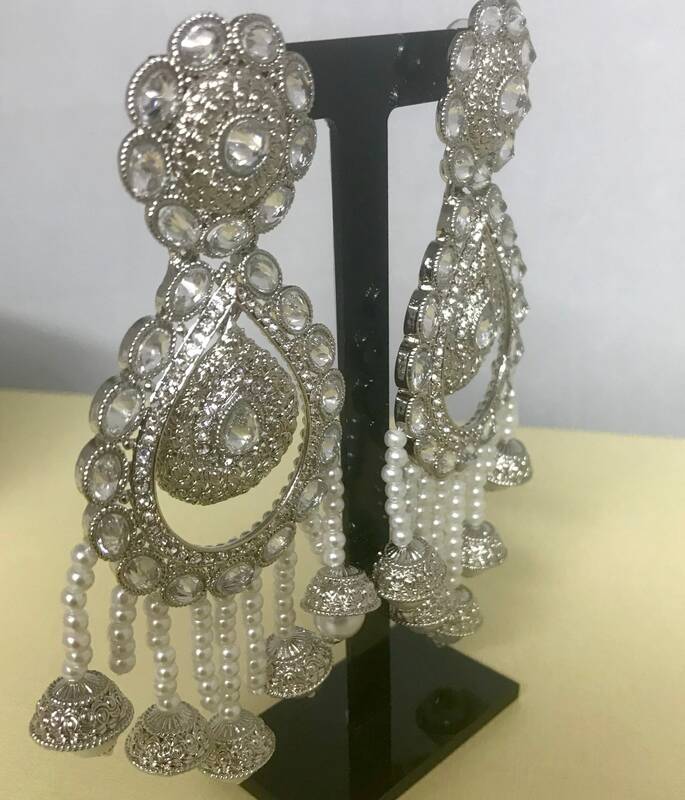 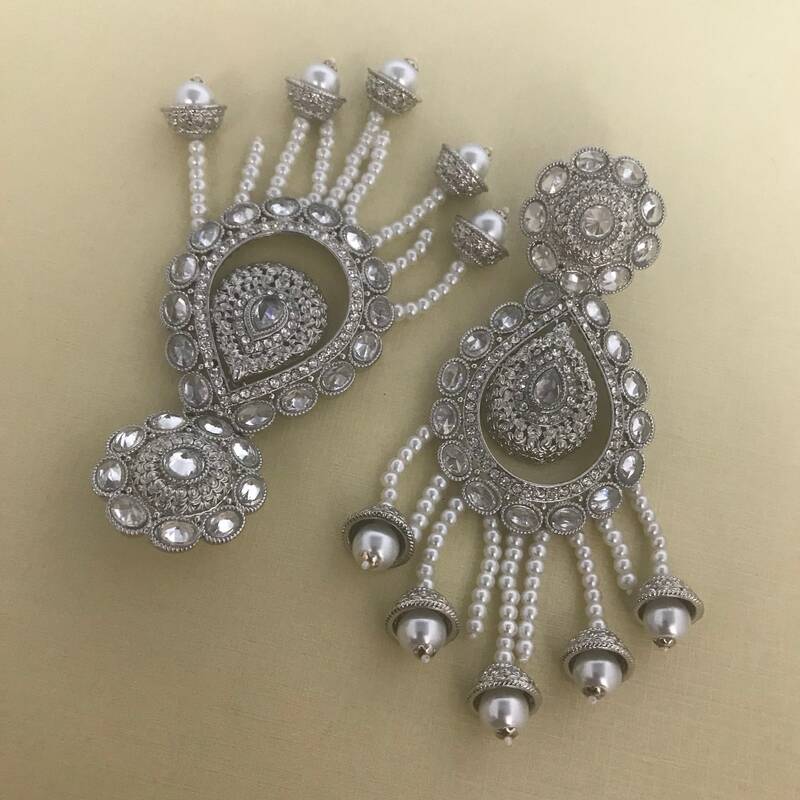 High quality silver coloured earrings with white/clear coloured zirconia stones,and faux ivory pearl strands. 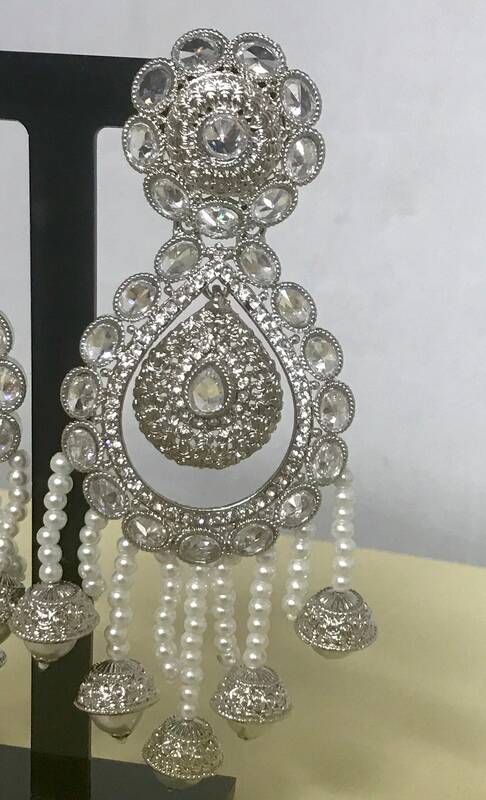 Finished with faux ivory colour pearl droplets. 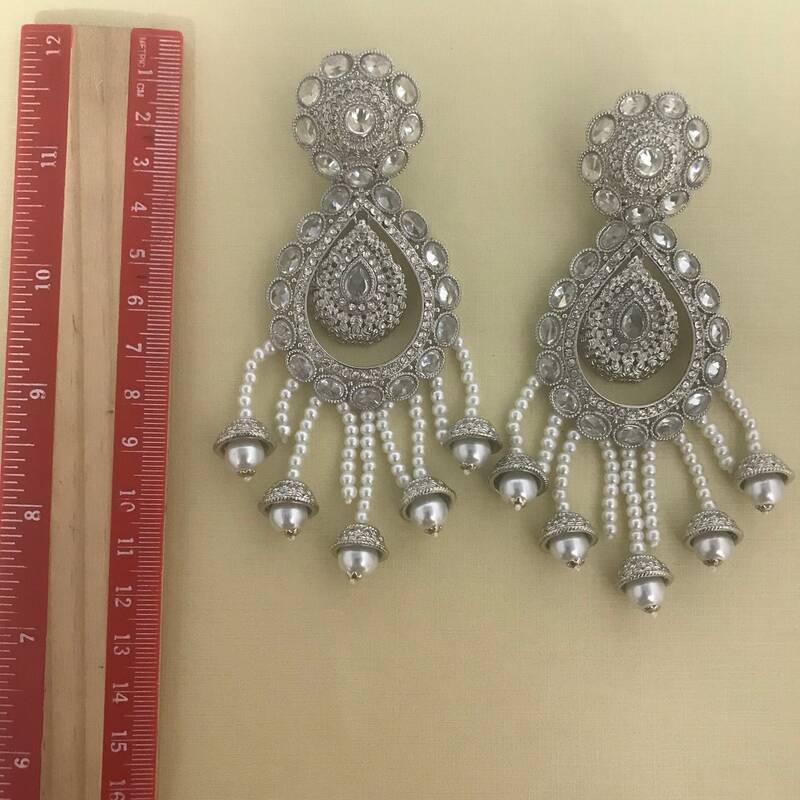 Your satisfaction is of the utmost concern to us,therefore all items are inspected before dispatch. 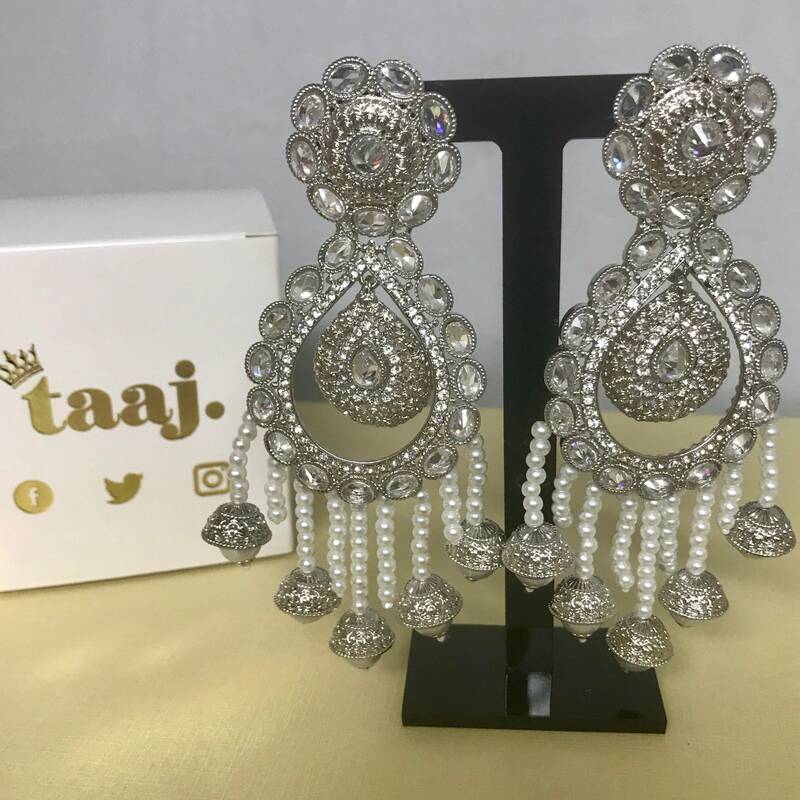 Our goal is to provide quality goods at best possible prices, and we strive for 100% customer satisfaction and a 5* rating so that we can continue to serve our valued customers.FOR FURTHER DETAILS PLEASE CONTACT SELLER.